$189 with Modulator lens, $179 with non Modulator lens. 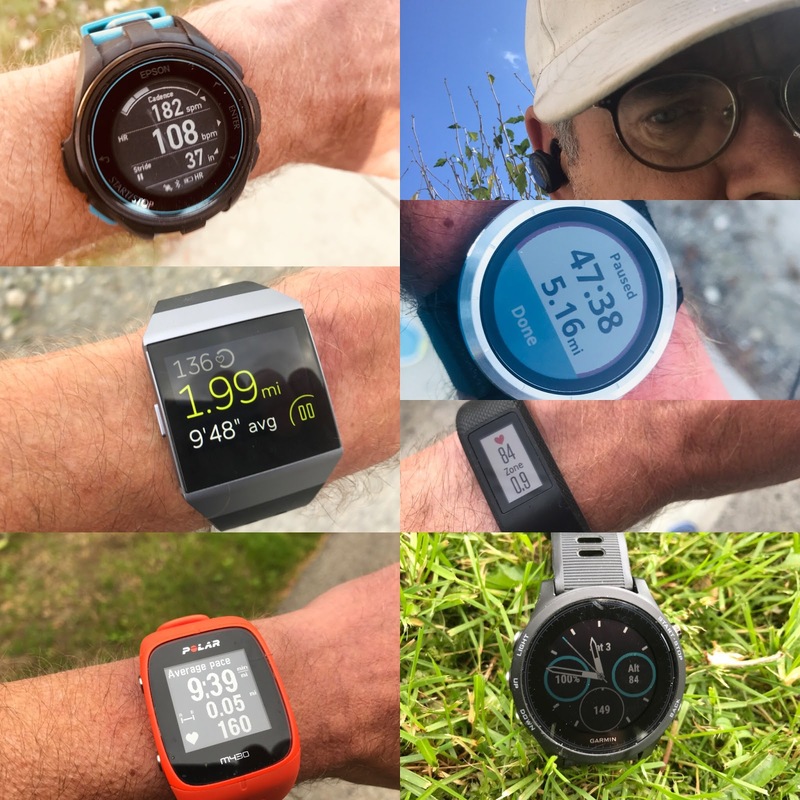 The 6th Sense is marketed toward cyclists, but I found that they are an excellent choice for running/trail running, or just about any other outdoor activity, and of course cycling. The 6th Sense is very light at 27 grams with a frameless design for unobstructed, wide field of vision and come in a variety of colors and lens options including the Modulator lenses below, as well as fixed gradient lenses. 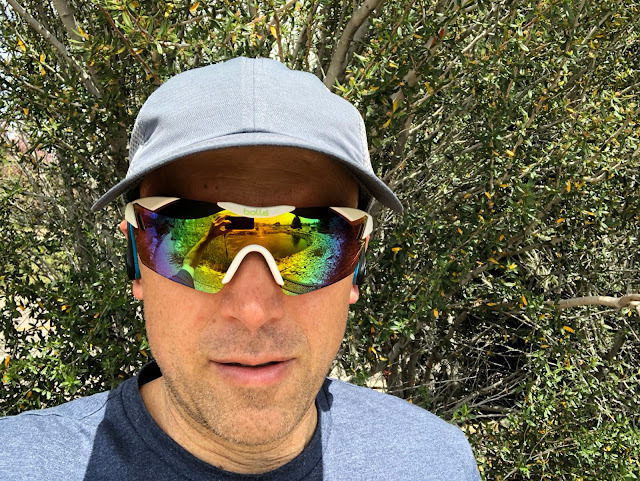 The Modulator Brown Emerald lenses in the 6th Sense I tested are anti fog and have a light transmittance range of 27%-9% which I found to work very well while trail running with the lens transitioning quickly, but imperceptibly, in changing light conditions. Bolle offers several different Modulator options to cover a wide range of light conditions and activities. The 6th Sense temples are malleable for a custom fit. The rubber ends are not as sticky as I would have imagined, or as sticky as some other brands, which worried me a bit at first. This said I had no problems with them shaking loose or bouncing once I got them adjusted, they stayed put. 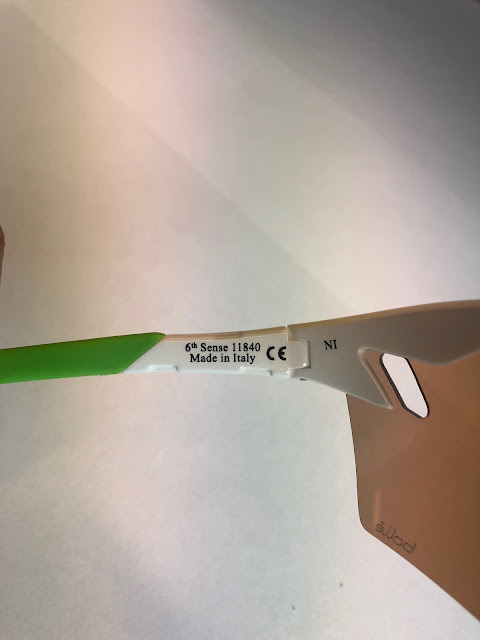 These 6th Sense are made in Italy and are of very fine quality. Modulator lens with ventilation ports. The nose bridge is mold-able as well in all directions to help achieve a more custom fit. 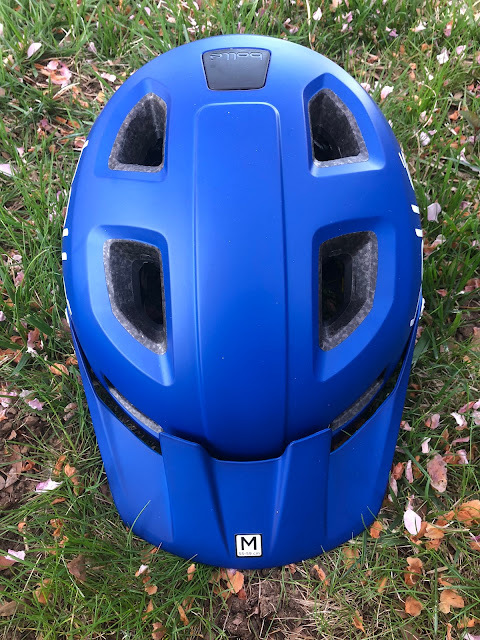 If cycling or using for mountaineering, snow climbs or windy conditions, you can add side shields, though for running I go without for maximum ventilation. I have a small face and they are on the large side, but as sport glasses, I don't mind the added coverage, as long as they vent well (which these do). 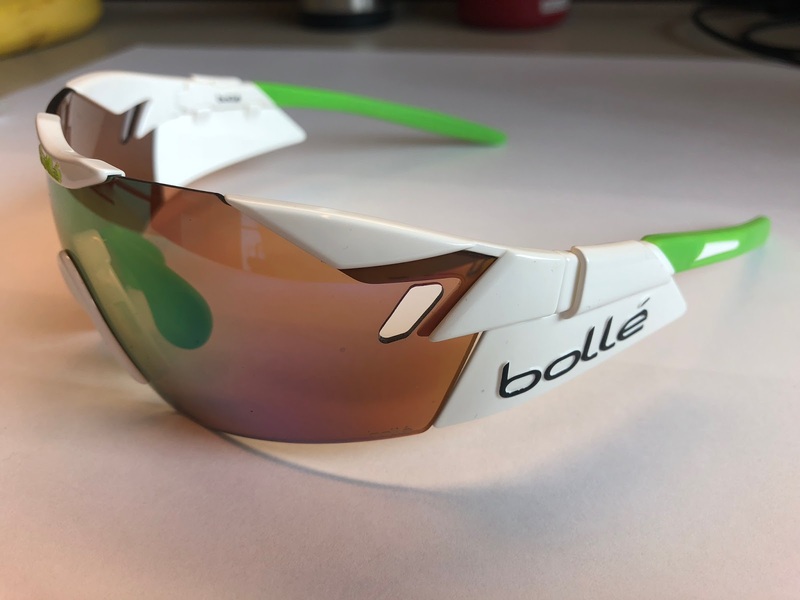 Bolle also offers up a small version of the 6th Sense for smaller faces (which may have been more appropriate), but chose to go with more coverage). 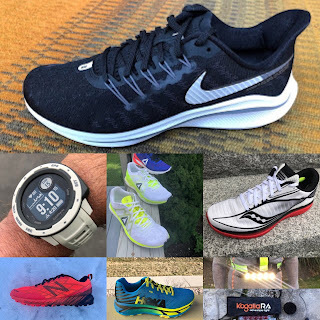 Overall I found the 6th Sense to be a great choice for trail running. as they are light, well ventilated, do not fog (in most circumstances) and stay in place on my face well with the malleable temples and nose piece. The Modulator Brown Emerald lens provides excellent clarity and trail definition, with the 27% transmission being adequate in the woods on average sunny days, where the 9% transmission is dark enough for the brightest conditions, keeping my sensitive eyes at ease while not feeling too dark and hindering my visual acuity. 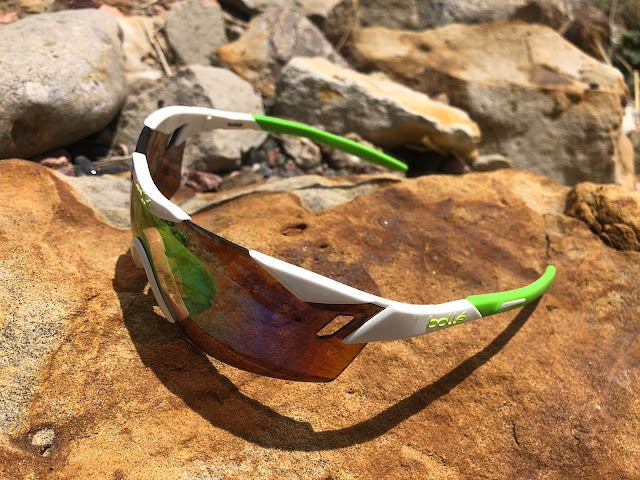 Oakley EVZero Path with Prizm Road - Best for lightest weight and for being nearly imperceptible on the face, top notch optical clarity, definition and unobstructed visibility. Prizm Road lens is ideal for moderately brighter conditions and also do well in/out of shade/sun. 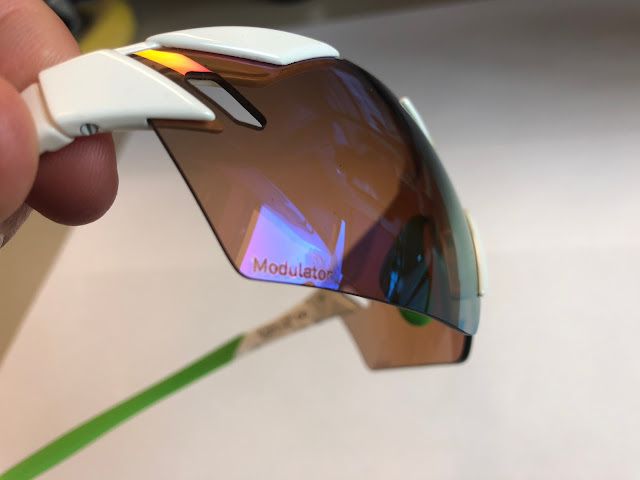 Oakley EVZero Path with Prizm Trail - Best for lightest weight and near imperceptible on face, top notch optical clarity, definition and unobstructed visibility. Prizm Trail lens ideal for cloudy days, shady trails. 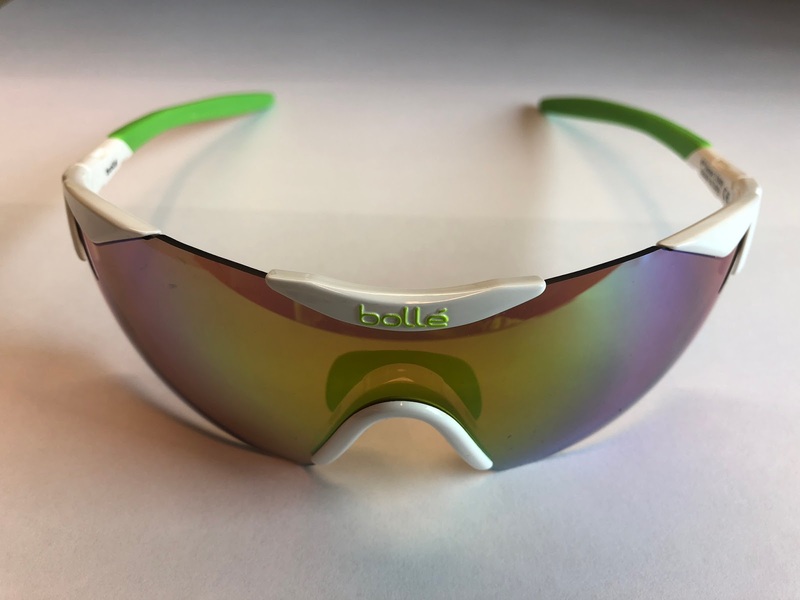 Zeal Optics Sable with Ellume Copper lens - Best for versatility, blending every day use style and sports performance. Polarized lens brings has excellent contrast on wet, snowy, icy trails. Good for moderately sunny conditions and lighter shaded trails. adidas Zonyk Aero Pro with Chrome Mirror lens (review coming) - Best for maximal coverage on the brightest, sunny days. Has an optional brow pad. The Chrome Mirror lens struggles to bring out definition on shaded trails. 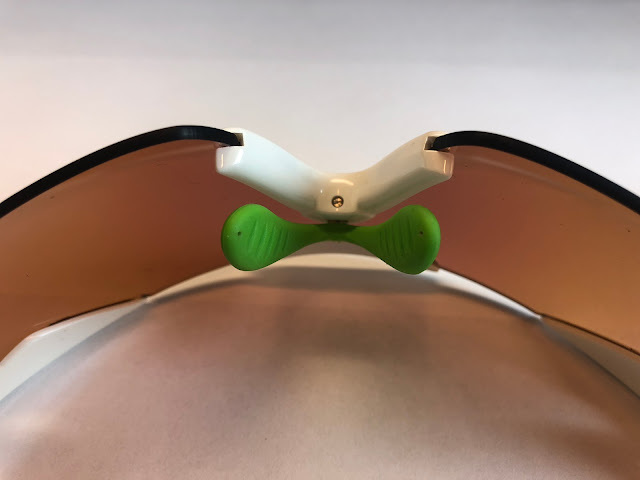 Julbo Aerospeed with Zebra Light lens (review coming soon)- large lens for maximal coverage, but still extremely light with good venting. The Zebra Light lens is amazingly versatile with usability in near dark conditions to all but the brightest high altitude glacier use. What? 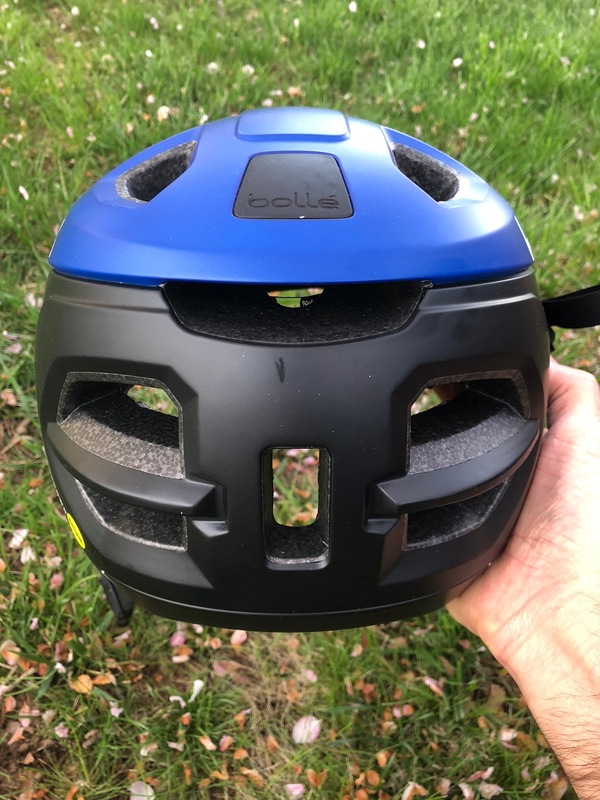 A bike helmet on a running site? 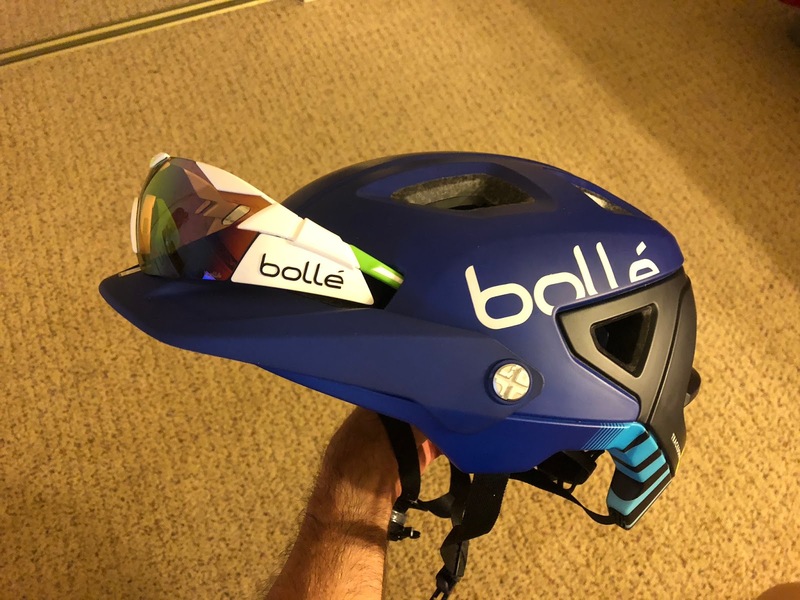 Before you come to the conclusion that we have jumped the shark and might turn into RoadTrailBike, Bolle was kind enough to throw in a helmet along with the sunglasses. Since I have a long background in cycling and cycling is a common crossover sport for runners (cross training, off season, injury mitigation/prevention, commuting), we figured it might be of interest to share our findings for the benefit of those who also bike. Available in 4 different colors (Blue, Purple, White and Black) and 3 different sizes, Small 51-54cm, Med. 54-58cm, Large 58-62cm, the Trackdown MIPS is geared toward mountain biking but is a fine all around helmet. 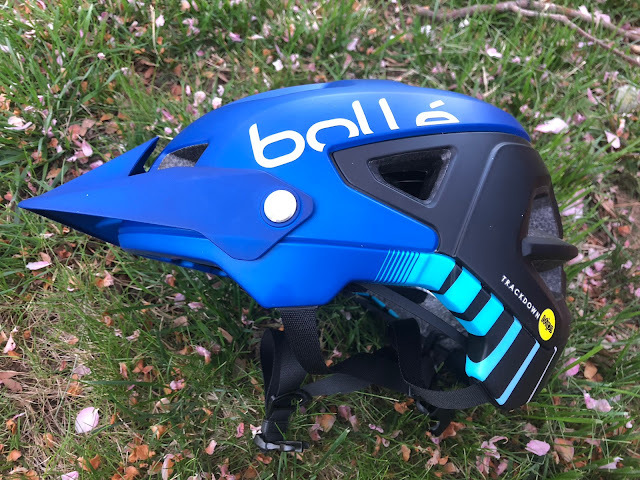 It is not the lightest helmet out there at 377 grams/14 oz., but it feels light on the head and offers more coverage and protection than many helmets out there. Though the helmet is not completely covered in vents, the vents are large and channel a large amount of air through the helmet and kept my head quite cool. Additionally, the positioning of the vents help to shade my head more than other helmets I have had in the past. If using in cold weather, you can also add snap in vent covers to reduce ventilation or keep out rain. The vent covers are easy to install/remove and help keep out sun/breeze if desired. 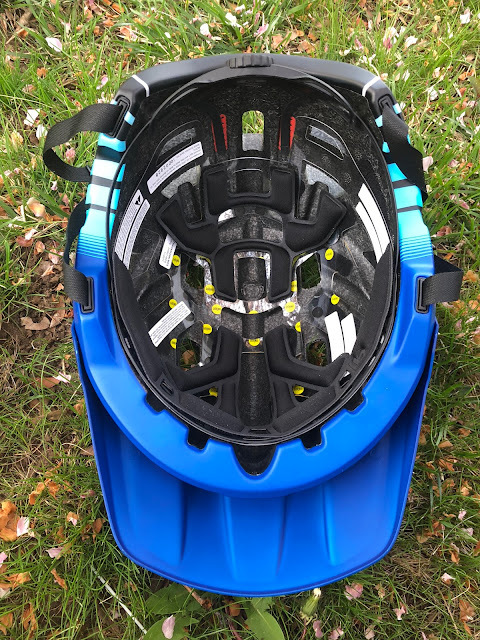 The Trackdown has a sturdy and durable built in visor that is easy to flip up/down depending on preference. I like having a visor option, especially during the months where the sun is lower on the horizon. Plenty of venting and strategic air channeling to keep the head nice and cool. 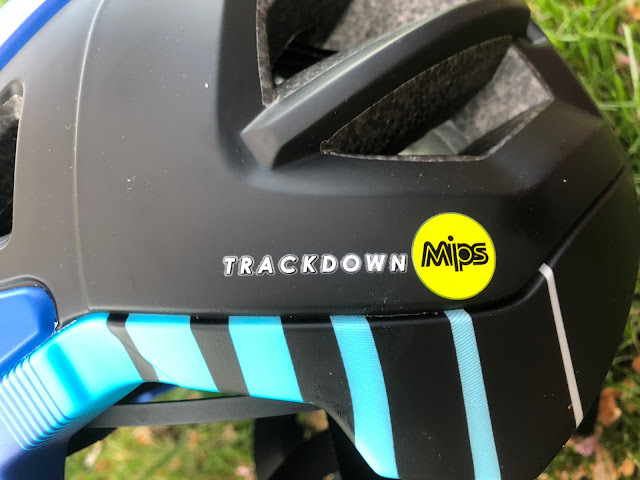 The Trackdown comes in a MIPS version as well as non-MIPS. MIPS stands for Multi-Directional Impact Protection System, which is an inner liner that moves independently from the outer shell. It is claimed that this inner shell helps to dissipate impact forces, particularly in rotational impacts, thus reducing the chances of brain trauma. Though nothing can eliminate the risk of brain injury, MIPS makes complete sense and is becoming the norm among the majority of helmet manufacturers. 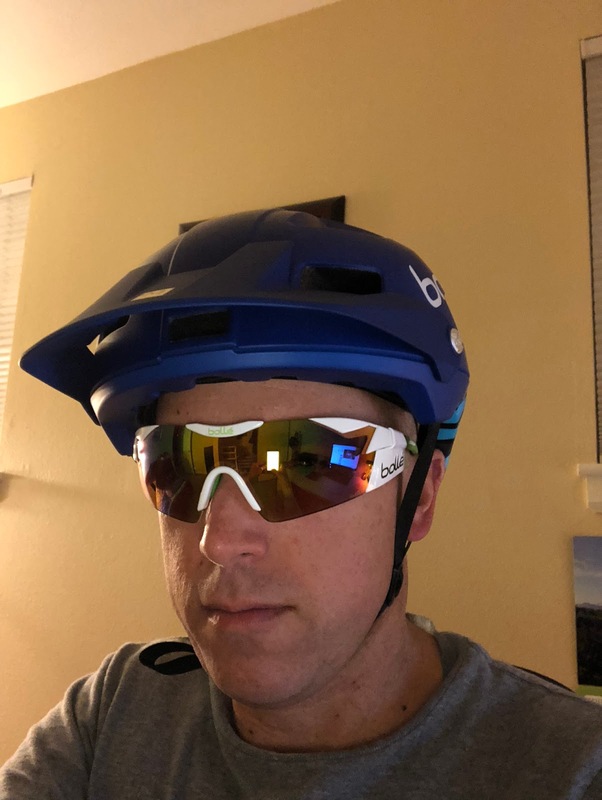 As somebody who has suffered a life threatening head injury in a bike accident, I'll take every precaution that I can. Read more about MIPS here. Inner view of the MIPS liner. 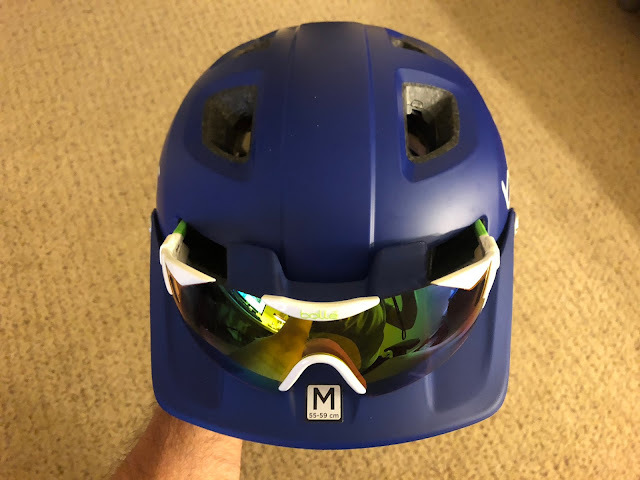 The 6th Sense glasses and Tracdown MIPS helmet integrate perfectly. I can easily slide the glasses into the vents/Sunglasses Garage where I found they held very securely. I find this handy on long climbs, in fading light or if my glasses just get too junked up in the rain. 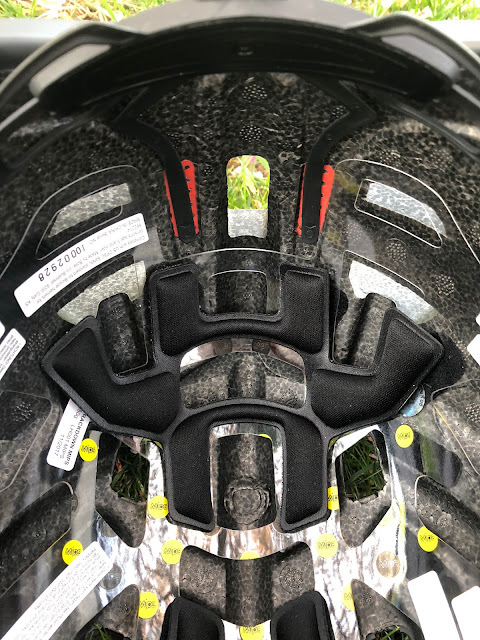 All in all I am impressed with the Trackdown helmet and if the Trackdown is any indication, their road/all in one helmets look very interesting as well. 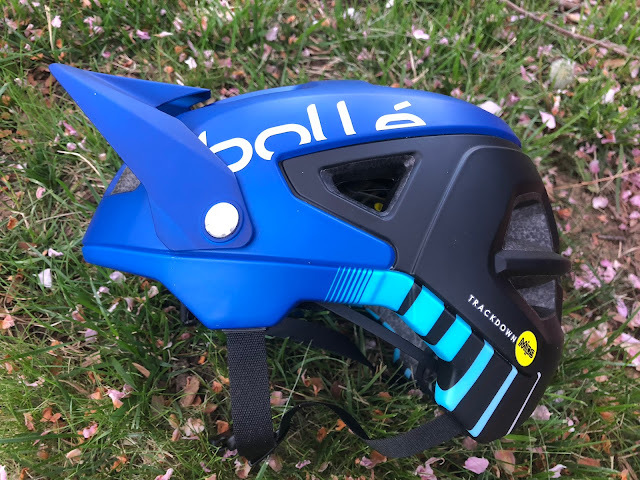 The Trackdown is ideal for mountain biking given its added protection and built in visor, as well as for commuting and all around general use. Ventilation is excellent, quality is top notch, comfort is amazing. I would highly recommend. 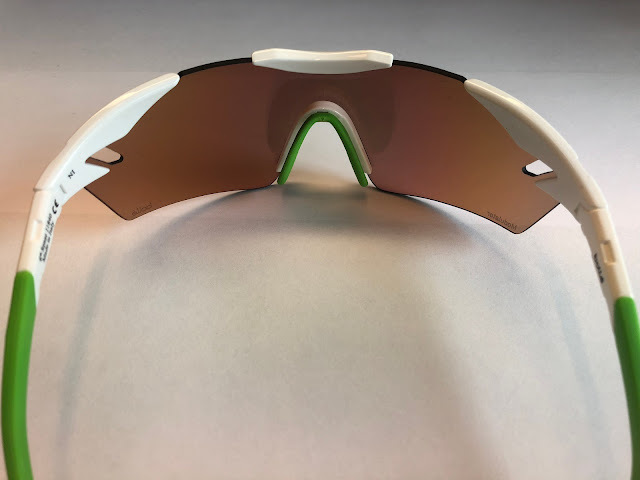 Oakley EVZero Path with Prizm Road - Best for lightest weight and near imperceptible on face, top notch optical clarity, definition and unobstructed visibility. 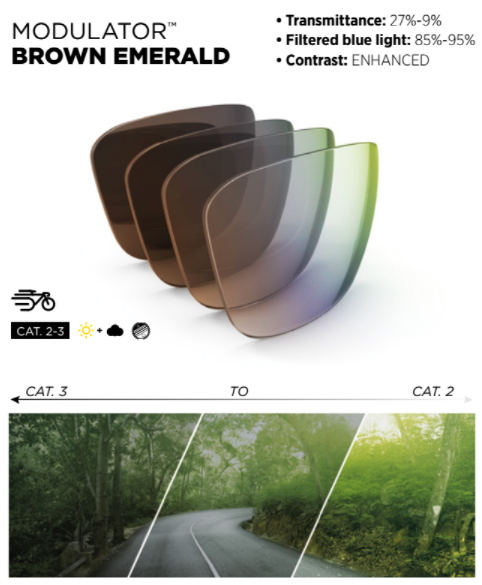 Prizm Road lens ideal for moderately brighter conditions and also do well in/out of shade/sun. Zeal Optics Sable with Ellume Copper lens - Best for versatility, blending style for every day use and sports performance. Polarized lens brings out excellent contrast on wet, snowy, icy trails. Good for moderately sunny conditions and lighter shaded trails. Julbo Aerospeed with Zebra Light Fire lens - Large lens for maximal coverage and frameless design for a wide field of unobstructed vision. 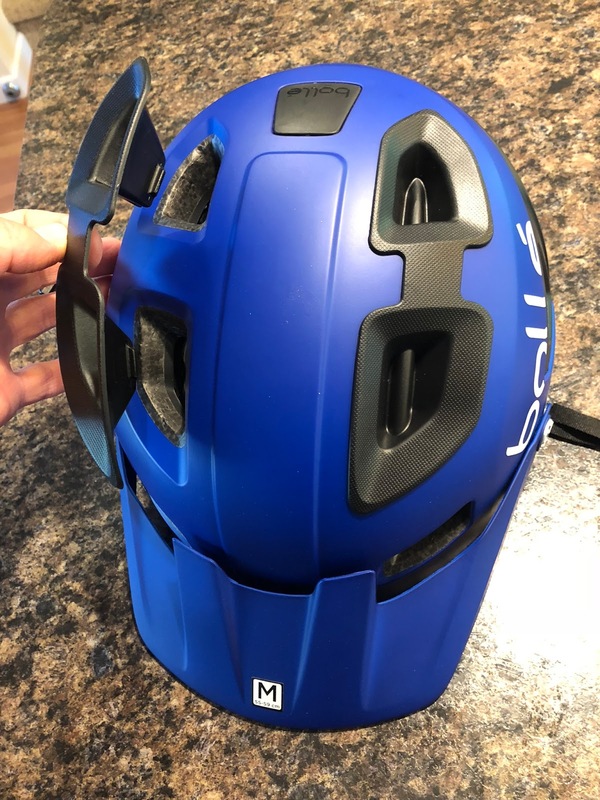 Very light for the size, the Aerospeed is hardly noticeable when wearing and the infinitely adjustable nose piece helps give a custom fit. The Zebra Light Fire lens is about the best photochromic lens on the market that covers you from dim light to bright sun. adidas Zonyk Aero Pro with Chrome Mirror lens - Best for maximal coverage on the brightest, sunny days with optional brow pad. Chrome lens struggles to bring out definition on shaded trails. Not the lightest of the bunch, but secure and high quality. The Glow Vario lens is a top pick for dark or cloudy conditions, but unsuited for sunny days. The Bolle products were provided at no cost. The opinions herein are entirely the author's. I like the shade of those shades.